Thomson Creek Farm: A few more honored guests! I don't know why, but I think Elder Bednar has been my kids favorite so far. They talked about him ALL NIGHT! Part of it was that they thought his name sounded funny (great respect--I know!) Or maybe it was because it was FHE so we had dessert the night he came! 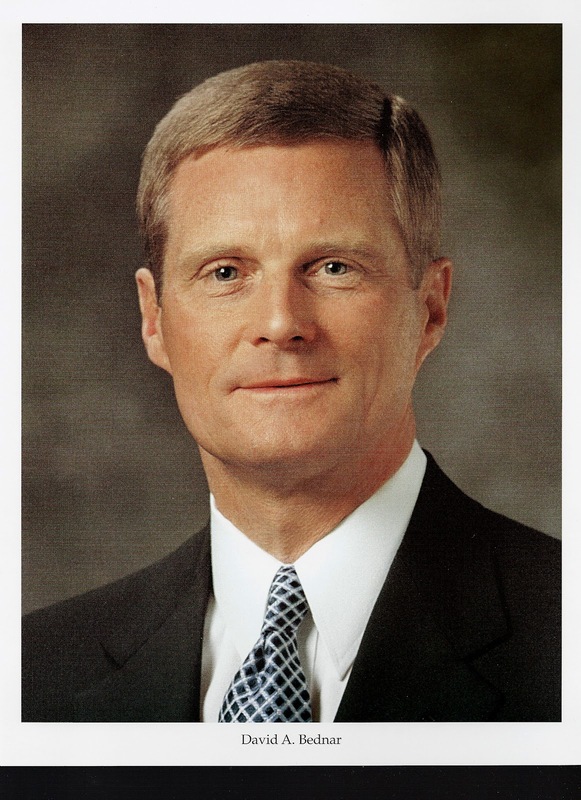 Since Elder Bednar was the first president of BYU-Idaho, we had a potato bar. He also went to Germany on his mission, so we had German Chocolate cake for dessert. I have to admit, he has probably been my favorite also. 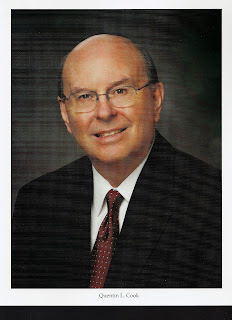 He has such a love for the scriptures, it encouraged me in my passion for them also. 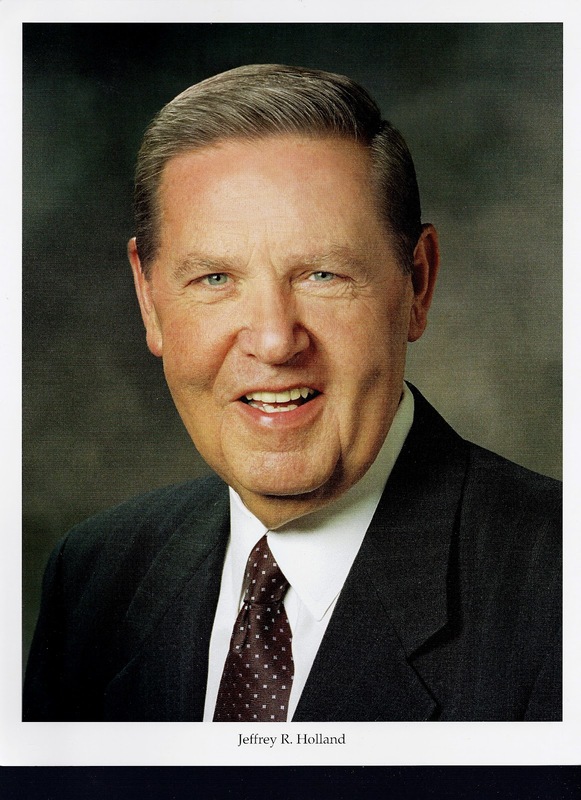 I was so excited for Jeffrey R. Holland. I love listening to this man speak. He went to England on his mission (I don't know how to make Fish and Chips) He lived in Seattle, and back east. He started the Jerusalem center. There is a wealth of food possibilities in all of those. Mostly fish though, and I am not a huge fan. In his bio story that they published in the Ensign after he was made an apostle, there was a quote by his son: "Matt says his 'fondest memories from childhood are at the dinner table. Every night was a kind of family home evening filled with laughter, compliments, encouragement, interesting conversation, testimony, teaching, and expressions of love. You always knew Dad was happiest when he was at home with his family.'" I loved that! So for dinner I made food we love, and after we learned about Elder Holland, we told jokes. It was a lot of fun! After we are done with our special guests, I plan on having a night were we try to list everything we remember about these sacred men. Since my children are so small, I think I will cut out some clip art of things that represent them, and try to match them up. I thought I was inspired to do this for my children, now I know that it was for me! I can not wait until conference. I now know these men so much better--I feel like at conference, I will be having friends come into my home! This is just the coolest idea I have ever heard of!!! Sometimes I wish I could go back and raise my kids again, to use all the great ideas I hear about from creative people like you (and Pinterest!)!!!! What an awesome idea! We will totally have to follow that one, even if Conference is over! Thanks so much for sharing!